Eskom has announced the appointment of Johnny Dladla as Acting Group Chief Executive with immediate effect. 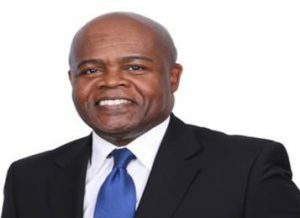 Dladla has 22 years of experience within the power utility, including five years as CEO of Eskom Enterprises and its subsidiaries. Dladla, a Chartered Marketer, has studied across a range of critical fields including finance and accounting at Harvard Business School, Fort Hare University, Cranfield University (UK), AAA School of Advertising and IMM. He previously worked for BHP Billiton and South African Breweries (SAB), and is said to have successfully executed major projects, built sustainable relationships, and a legacy of service delivery with major local and international private and public sector organisations. The post Eskom board appoints acting CEO appeared first on EE Publishers.